Reuters reports that Intel's move into contract manufacturing of chips for other companies suggests that Apple could become a future customer with its A-series chips for the iPhone and iPad, potentially reducing its reliance on arch-rival Samsung as a supplier. A source close to one of the companies says Intel and Apple executives have discussed the issue in the past year but no agreement has been reached. Intel has in the past always designed its own computer CPUs, which PC manufacturers like Apple then buy. Intel had previously expressed interest into moving toward some contract or "foundry" manufacturing of chips, although had indicated that it would be most interested in projects based on its existing technology. But the growing trend away from PC and towards mobile devices continues to threaten Intel's core business, apparently prompting the company to more heavily consider acting as a foundry for distinct chip designs from third-party companies. Pat Becker Jr, of Becker Capital Management, believes the move would make sense for both Intel and Apple. "If you can have a strategic relationship where you're making chips for one of the largest mobile players, you should definitely consider that. And for Apple, that gets them a big advantage." My inner fanboy is thinking "The less money that goes to Samsung the better". I don't care all that much who makes the chips. I'd like to believe this competition would lead to cheaper chips and cheaper devices, but it is only likely to lead to cheaper chips and fatter margins. EDIT: Does this mean OSX bootable iPads perhaps?! I hope so, x86 has been the slowest and most unproductive arch of the 21st century. Look at how cutting edge intel has been since Apple signed on with them. 3 years and still waiting on something other than menial bumps for the macpro, why because of intel's lack and or desire to raise any bar. although no need to when your a monopoly. I'm fairly certain this is Apple's fault and not Intel's. Sandy Bridge E has been around for some time. Ivy Beidge E is around the corner. Sadly its only a very, very, very small dent. Samsung makes billions from everything else. The change in opinion around here on Intel from the days of the switch from PPC to now is really incredible. In this pantomime, the Bad Guy changes a lot. Sometimes it's IBM, or Microsoft, or Intel. Today it's Samsung. No, If you want to give an arch that title, it is most certainly not x86. The macpro is a terrible example considering that there are much much newer and faster chips available, it is apple that is dragging it's feet on the macpro, not intel. Also, it is of note that it's getting harder and harder to eek out more performance from silicone. Each time the process gets smaller it's harder to make the next jump. 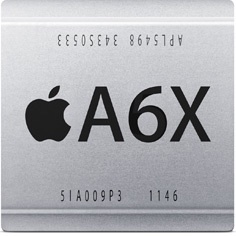 Arm has been making amazing strides in the last 6 years, but x86 has also made huge strides in that time. Intel are big boys with a fair bit of business sense. I don't see this as a Walmart thing. +1. Intel is just like Apple, they have high margins on their products.